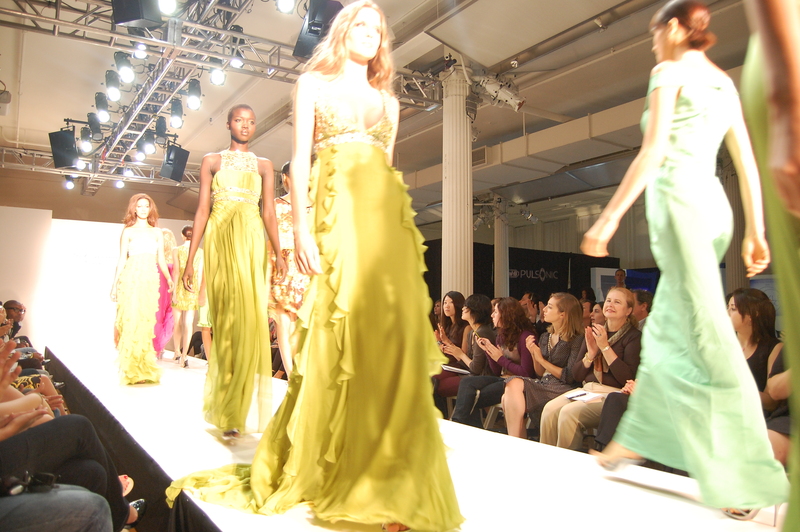 Zac Posen Spring 2009 New York Fashion Week – Final Exit on Vimeo. Check out the turkey flounce dress at the end! Young, feminine, flirty, and very Gossip Girl! Zac was back with his Spring 2009 collection that showed his range, versatility, and top-notch tailoring. 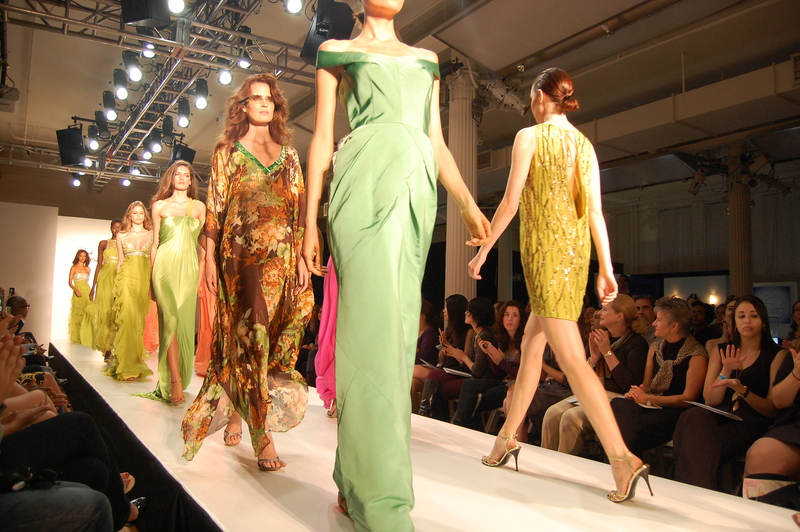 He mixed couture gowns with bathing suits, cocktail dresses with pant suits. Some silhouettes were sheer and very body hugging, while layered fabric on some pieces created a beautiful doll-like effect. 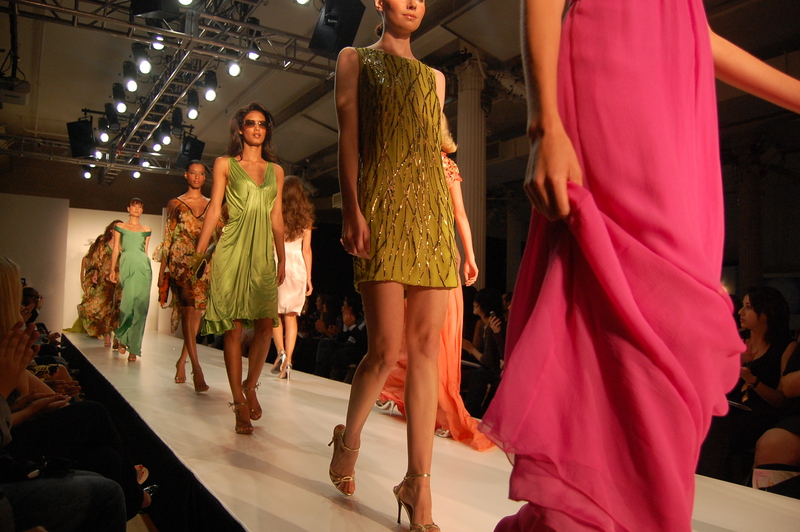 They were gorgeous – perhaps some of my favorite pieces of the collection. I liked how the designer switched between the form-fitting silhouettes and the forthy, layered look. He certainly has a lot of imagination. I loved the pieces in the collection that channeled Alice in Wonderland meets Gossip Girl. It just had this feminine whimsy to it. I loved the costume turkey dress at the end, with its huge pink, white, and black flounce. It added the right tone of fun, drama, and panache to the collection. I also enjoyed the live interview that Zac gave to the very charming Andrew Leon Talley on the runway after the show. It gave us insights into the mind of this wunderkind. Can’t wait to attend his next show. 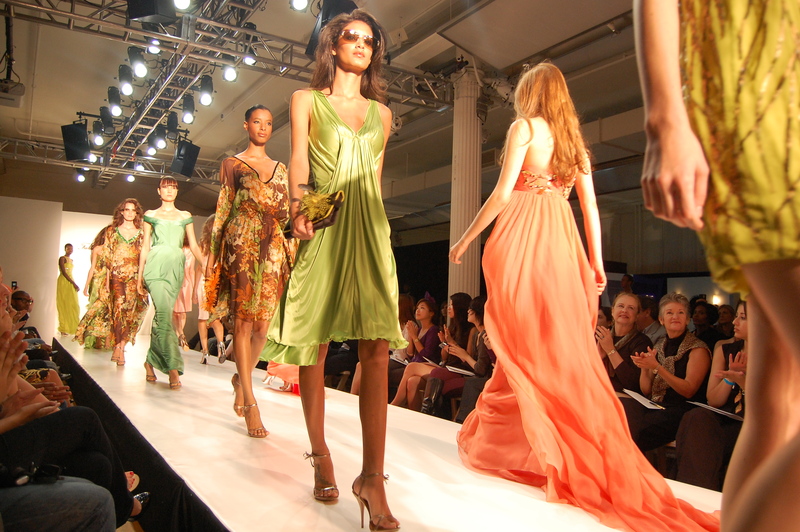 How fabulous to see Jaslene walk for Farah Angsana this Spring 2009 Fashion Week. She rocked, she was fierce, and she’s a working model! Wonderful stuff. Here are some great pics, courtesy of Mabel Lim, who attended the show. This was the final exit of the show. 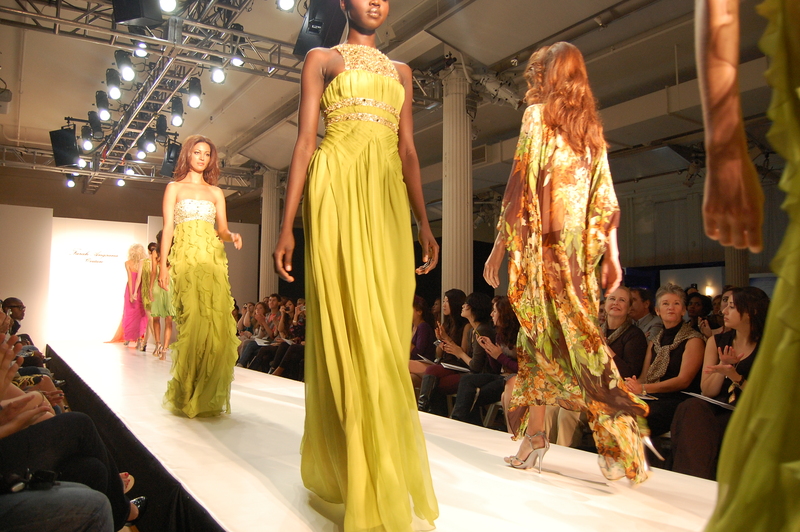 I loved the vibrant colors and the excellent cut of the long gowns. The embellishment and embroidery is just exquisite. DVF Tweets – Just who is tweeting DVF?